Q1. 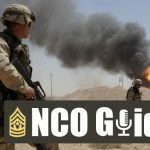 As the sergeant major for the chief of public affairs, what are some of the communication and public relations challenges that today’s NCOs face? SGMV: If there has ever been a time when the term “strategic corporal” applied most, it is now. In a 24-hour-a-day news cycle, and with the advent of social media, our actions can have lasting impact on the reputation of the U.S. Army and our relationship to the American people. This is why public affairs professionals have to be significantly involved in units at the tactical and operational level as they plan and conduct training and operations. PAOs aren’t just the unit photographers. When utilized correctly, they can be significant and valuable contributors to the success of the commander’s mission. Q2. 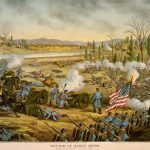 How has digital (e.g., social media, smartphones) affected the Army, and why? SGMV: Social media has changed everything. If you think about how our young Soldiers interact today, you’ll note social media “is” their communication method. 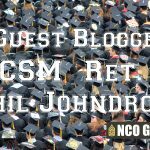 Senior NCOs can embrace it or not, but ultimately if you want to reach your young Soldiers, you have to engage with them personally first, but enhance those personal engagements through social media. For many years, “media” was in many respects passive. You sat there and watched the news, or you heard it on the radio. You saw and heard what professional journalists showed and told you. Today, Soldiers take an active role in how they consume media as well as an active role in the “conversation.” They are no longer just told what matters, they expect to be able to provide input into what matters to them. As leaders, we can only leverage the millennials’ desire to engage in the conversation if we’re not afraid to ask for their input. Q3. What media advice do you have for soldiers and noncommissioned officers? SGMV: This one is easy. First, the media is not evil. They are professionals doing their job just like we are. We must engage with the media because we have a terrific story to tell, the story of America’s Army as seen through the eyes of its citizens in uniform. The greatest piece of advice I can give anyone who is going to speak to the media is to stay in your lane and speak from your level. Talk about those things you know and those things you experience on a daily basis. As an example, if you’re a specialist, you likely shouldn’t be talking Army policy, not because you’re banned from doing so, but because you simply may not be fully informed on Department of the Army level policy. Instead, you should focus on what you can speak factually about. It is appropriate to talk about your unit, your fellow Soldiers, and your experiences at the unit level. Q4. 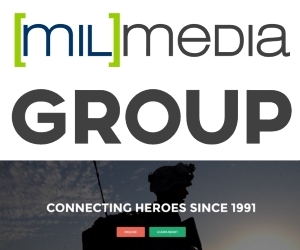 Do you feel the Army is adopting new media tools and platforms at an appropriate pace? SGM V: Everyday a new social media platform is invented. That doesn’t necessarily mean it is a platform we have to use. The U.S. Army has a current presence on nine social media sites. The questions we ask ourselves before adopting a new platform are 1. What audience are we going to reach? 2. Are we already reaching that audience on a platform we already use? 3. Does the platform lend to the professional credibility of the U.S. Army? Do we have the resources to adopt this new platform for the long-term? That last one is important. I regularly see units start up a social media page, but then their PAO Soldier has to PCS. Or, maybe – if it’s at the Battalion level – they don’t even have a trained PAO Soldier doing the mission, but instead it’s an additional duty for an S1 Soldier (as an example). Under these circumstances, there’s probably no SOP, no one knows the password, and you’re stuck. So, you start up a new social media page. All of a sudden, you’ve got a Battalion out there with 14 Facebook pages and 10 Twitter accounts. Each time you build a new account, you also have to re-build your audience. It is better to not have a presence, than have an absentee page or 14 unit pages, 13 of which are absentee, because the last 13 people to PCS took the passwords with them. What’s also counterproductive to creating a conversation with your audiences is when a unit starts a social media page but then doesn’t monitor it for weeks or months, when they do little more than just share things from other pages, or posts pages of hand-shake photos also known in the PAO terms as “grip-n-grins.” It is a complete waste of time to have a presence on social media if you are going to treat it like an afterthought. The word that matters in the phrase social media is “social.” If you can’t interact with your audience regularly, then you have to ask whether you really need to have a social media presence. Social media content must be planned. Q5. What type of Army leader frequents sites like the Duffle Blog, Reddit’s /r/Army, or US Army WTF Moments? SGMV: That’s a really good question. You asked what type of “Army leader” frequents those sites instead of what type of Soldier. You know, I’ll tell you I think an engaged leader frequents those sites. You know all those conversations we old guys used to have in the barracks when we were young? The stuff our leaders really shouldn’t hear, but if they did (once the shock wore off) would paint a picture of the trends or issues their Soldiers were concerned about? I surely don’t suggest Army leaders interact on any satire site, but good leaders want to know what their Soldiers are thinking; the good, the bad, and the ugly. These sites are extensions of what’s going on in the barracks now. Trust me, you’ll see the good, the bad, and the ugly there. These sites can prove a valuable place to gather a sense of the state of morale in a unit. But, rumors and misinformation that sometimes makes its way to these sites can be damaging to the Army on a large sale. We as Army PA professionals must acknowledge that incorrect information from these sites can bleed to other more “legitimate” news organizations. Therefore, we must be prepared to recommend to our commanders options on how to engage in communication efforts that can help correct or rebut that misinformation. Q6. Is using social media really a risk, or is the hierarchy just trying to make soldiers stop posting embarrassing stuff? SGMV: Like any external communication method, there are always risks. I don’t think the hierarchy are asking Soldiers not to engage in social media at all. I think Army leaders at every level just want to help Soldiers understand that we have a responsibility to our uniform that doesn’t stop at the end of the 1700 formation, nor does it stop when you log into your favorite social media site. Soldiers just need to know that they should conduct themselves appropriately. If you wouldn’t say it about your grandmother, you likely shouldn’t say it on social media either. Q7. What Public Affairs assets exist for unit leaders, and how can they best utilize them? SGMV: It’s no secret that Army Public Affairs has been hit hard by the drawdown. Our Brigade PAO shops have been cut in half, from four Soldiers to two. Therefore the Chief of Public Affairs in conjunction with FORSCOM has created a plan to push out the Public Affairs Detachments which are currently predominately stationed at our large hubs (Bragg, Hood and Lewis). The units will move out to those divisions where very little Public Affairs “process, acquire and deliver” capability exists. Those units will work with and augment the BDEs and Division as required. As far as best utilizing the PA assets, I strongly encourage our leaders to involve their PAOs in unit planning. Too many times, the PAO isn’t invited to the planning meetings, so they don’t know what the unit is up to. The result is the PAO then has to develop an immature plan at the execution phase. PAO has to plan just like everybody else. I ask our CSMs to include them early on, so they can provide the most value-added to the operation. Q8. 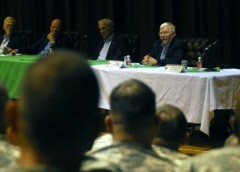 Should Army leaders leave dealing with the media primarily to the experts in Public Affairs? SGMV: The media doesn’t want to hear from the PAO. The media wants to hear from the commander. The media wants to hear from the CSM and the officers and NCOs and Soldiers. At senior levels, our PAOs sometimes are required to serve as spokespeople and sometimes it makes sense to do so as well at lower levels of command, but who responds to the media should always be in proportion to the issue at hand. I absolutely think all media engagements should have PAOs coordinating, prepping the individuals being interviewed, and supporting the engagement. Additionally, PAOs can provide additional background or information as directed by the commander and provide feedback and assessment of the media engagement and the products produced from it. Q9. If a sergeant asked you to give them one piece of advice, what would you tell them? SGMV: I would tell a sergeant he or she is a direct reflection of the U.S. Army and the very best of our nation. I would want them to know their story matters to the American people. What our young men and women do matters and it is worth talking about, so let us tell their story. Q10. Who is the leader you admire most, and why? SGMV: I have so many leaders I respect greatly and had a lasting impact on me. For me most notably, it was likely SMA Ken Preston. I had the honor of working as his PAO guy. I learned so much from him about leading and caring for Soldiers. He made such an impact on the Army that his effects, especially in NCO professional development, will be felt for generations to come. 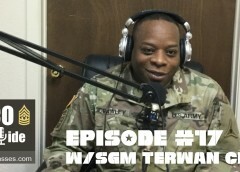 He did a lot of work he didn’t get a lot of press for, the nug work of creating a professional NCO development program worthy of our enlisted force. He cared deeply for our Soldiers and their families as evidenced in his support of quality of life initiatives which are still bearing fruit via better housing, services, medical, morale and recreation initiatives. He continues to care for our Army family even in retirement as a private citizen. If I ever had anyone I most wanted to be “like” when I grew up, it was SMA Ken Preston. Sgt. Maj. Jose A. Velazquez Jr. became the Sergeant Major of Army Public Affairs, July 10, 2015. As the Army Public Affairs senior enlisted Soldier, he advises the Chief of Army Public Affairs, Office of the Secretary of the Army, on all enlisted matters affecting the career field, particularly in areas affecting Soldier training, equipping, readiness and welfare. 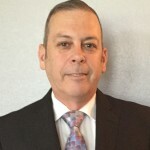 He devotes a portion of his time to working proponency issues with the Army Public Affairs Center, providing guidance, and direction on current and future doctrinal, training and equipping needs of enlisted public affairs Soldiers across the U.S. Army. In so doing, he provides a unique and direct impact on the health of the public affairs field. Velazquez is a native of Lawrence, Massachusetts, and was born to Puerto Rican parents May 14, 1970. Velazquez entered the Army on Jan. 08, 1991, attended Basic Training at Fort Knox, Kentucky and Advanced Individual Training at Fort Benjamin Harrison, Indiana. Throughout his 25-year career, he has served in every enlisted leadership position from squad leader to his current position as Sergeant Major of Army Public Affairs. 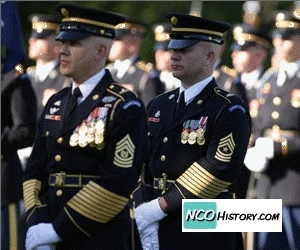 Notable assignments were as Public Affairs Officer to the Sergeant Major of the Army, Washington D.C., Public Affairs Sergeant Major for the Training and Doctrine Command, Fort Eustis, Virginia, Public Affairs Sergeant Major for Eighth Army, Republic of Korea, the Army Senior Enlisted Adviser for Joint Forces Command and the Public Affairs Sergeant Major, Joint Public Affairs Support Element, Norfolk, Virginia. His military education includes the Warrior Leader Course, Basic Noncommissioned Officer’s Course, Advanced Noncommissioned Officer’s Course (Leadership Awardee), Airborne School, Special Forces Individual Anti-terrorism Course, Advanced Electronic Journalism Course, Broadcast Manager’s Course, Senior Enlisted Public Affairs Course, and the United States Army Sergeants Major Academy. His civilian education includes a Master of Business Administration degree from Averett University, a Bachelor of Science double major degree in Communications and Spanish from Excelsior College, an Associate of Arts degree in General Studies from Central Texas College and a Certificate in Broadcast Journalism from the Northeast Broadcasting School. His awards and decorations include the Legion of Merit, the Defense Meritorious Service Medal, six Meritorious Service Medals, one Joint Service Commendation Medal, two Army Commendation Medals, one Joint Service Achievement Medal, four Army Achievement Medals, seven Good Conduct Medals, two National Defense ribbons, the Korean Defense Service Medal, the Afghanistan Campaign Medal, the Global War on Terrorism Service Medal, two Humanitarian Assistance ribbons, four NCOES Ribbons, the Army Service Ribbon, three Overseas Ribbons, the NATO Medal, one Joint Meritorious Unit Awards, four Army Superior Unit Awards, an Army Meritorious Unit Commendation and the Department of the Army Staff Badge. He has also won the Silver Telly award for cable news excellence, selected as the Army’s Senior Broadcast Journalist of the Year, and won numerous Thomas Jefferson and Keith L. Ware awards for broadcast excellence.